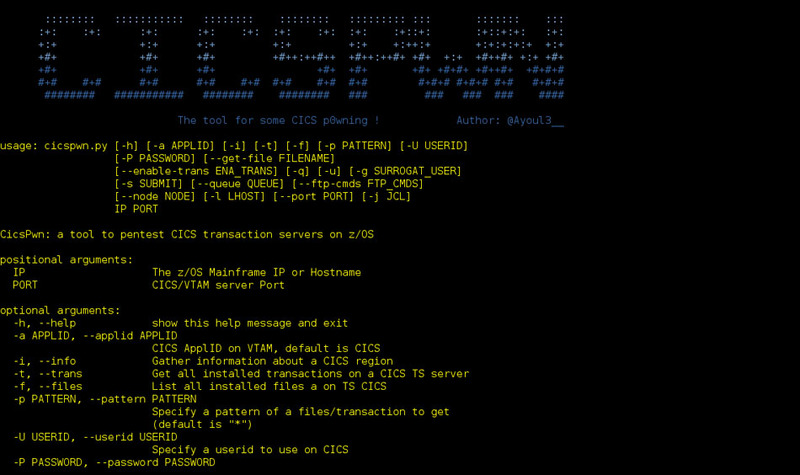 Browse: Home / CICSpwn is a tool to pentest CICS Transaction servers on z/OS. 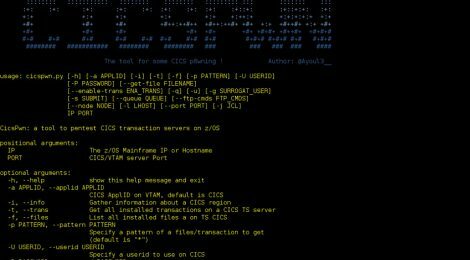 CICSpwn is a tool to pentest CICS Transaction servers on z/OS. + A Python interface to x3270, an IBM 3270 terminal emulator. ← Forensic Hashing – Android Forensic Toolkit.